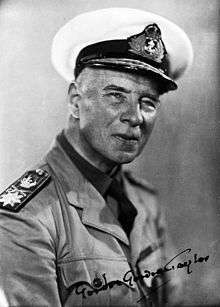 During the Second World War he served as a Surgeon Rear-Admiral in the Royal Navy. After his retirement during the war he gave lectures to several medical societies and was elected President of the Medical Society of London in 1941-42, the Association of Surgeons of Great Britain and Ireland in 1944-45 and the Royal Society of Medicine in 1944-5. He was knighted CB in 1942 and KBE in 1946. He died in 1960 having been run over by a lorry outside Lord's cricket ground. He had married Florence Mary FRSA, FZS, eldest daughter of John Pegrume. The Abdominal Injuries of Warfare. Bristol, Wright, 1939. Sir Charles Bell, his life and times, with E A Walls. Edinburgh, Livingstone, 1958. On Cancer of the Breast, Brit. med. J. 1, 455. Mitchell Banks Lecture,1959. On Malignant Disease of the Testis, Proc. Roy. Soc. Med. 41, 118, 1948. On the Oro-pharynx Brit. J. Surg. 35, 6, with N R Wyndham, 1947. On Retroperitoneal and Mesenteric Tumours, Proc. Roy. Soc. Med. 26, 889,1933. On the Hindquarter Amputation, Roy. Melb. Hosp. clin. Rep. Centenary Volume, p. 189, 1948. War injuries of the chest and abdomen. Brit. J. Surg., Supplement 3.,1955. 1 2 3 "Gordon-Taylor, Sir Gordon (1878 - 1960)". Royal College of Surgeons. Retrieved 17 May 2015.